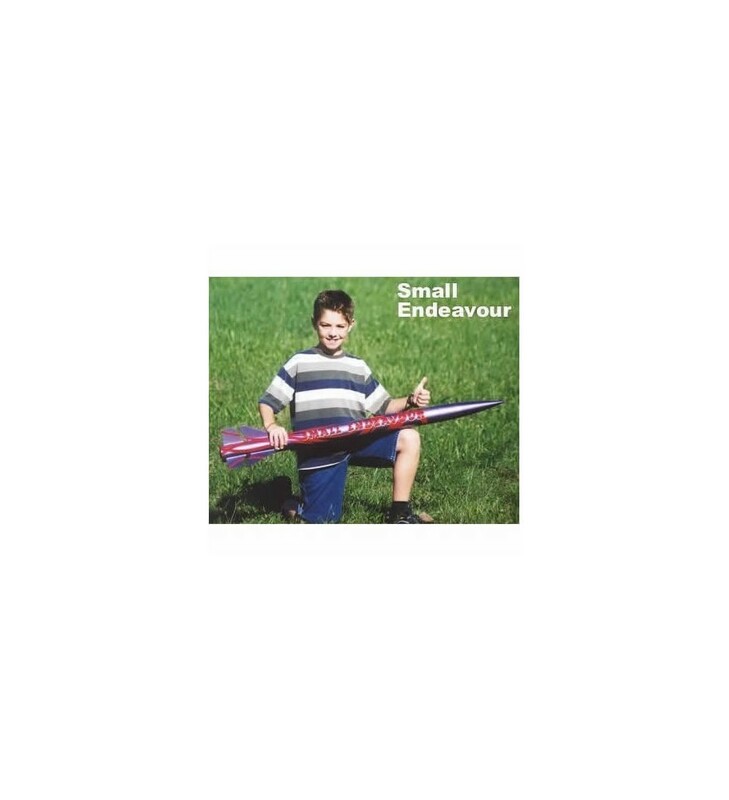 Rocket kit Small Endeavour - Public Missiles Ltd.
> ROCKET KITS>High Power Rockets>Rocket kit Small Endeavour - Public Missiles Ltd. The smaller version of PML Endeavour. The Endeavour's military style split fin design has always been a big hit with the HPR crowd. Now you can fly in style using mid power motors, too! The Small Endeavour comes standard with the new Quantum Tube polymer airframe and G-10 fins. 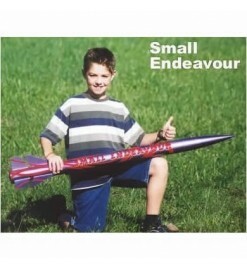 The Small Endeavour uses a 38mm motor mount (or an optional adapter for 29mm flights). Every Public Missiles Ltd. kit includes the exclusive piston ejection system which eliminates the use of wadding and greatly helps the parachute to come out. Motor retainer, motors, glue and paints are not included.